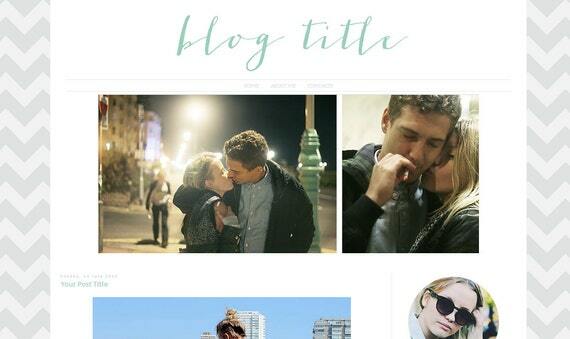 I'm a big believer in a beautiful blog design. I invested quite a bit of time (and money!) in getting my design just right, as I really do think it makes a huge difference. It's the first thing readers notice, and first impressions count. February's sponsor Kotryna Bass Design understands this pretty well. Kotryna is a Brighton-based web designer whose Etsy shop provides a range of gorgeous blog layouts, including premade layouts for Blogger and Wordpress. Starting at £12.50, these are ideal for bloggers on a budget as they provide a pretty layout without the hassle of making your own or the expense of commissioning a custom design. There is a definite theme running through the range- All designs are clean and simple, but have a touch of pretty femininity too. Perfect for professional-looking blogs! If a custom design is more your thing, Kotryna can create a layout bespoke to you. Alternatively, you can pay for custom elements and add-ons such as a header, signature or favicon. It's not all for blogs, either. 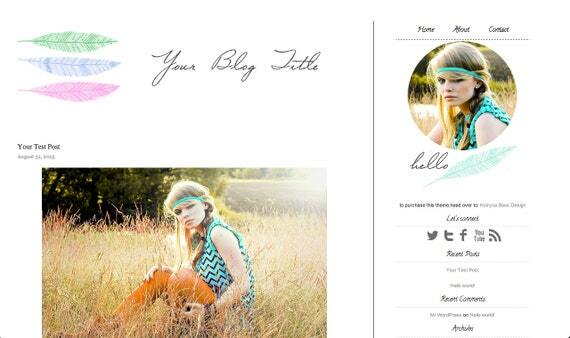 You could have matching Facebook and Twitter or Etsy covers if that's more your thing. Not only is Kotryna talented, she's well qualified too. With a degree in media and computer science, she knows her stuff and will even install your design for you, if you're confused by all the html malarky. Seriously go and check her out if you're looking for a new, gorgeous and affordable design. This is just what I was looking for! Thank you so much for featuring this! I actually purchased my current pre-made design from her shop and I absolutely ADORE it! It was incredibly easy to install and I love the look it gave my blog. Simple and very easy to navigate. If I ever change it, I will definitely head back to her shop to see what's new! It's great that you were so happy with yours!